Things got really awkward on Pitch Season 1 Episode 9! The team had to deal with the fallout of Mike leaving for Chicago, only for the deal to fall through in the final hour. Ginny met a new suitor, only to find herself in an intimate moment with Mike. Elsewhere Evelyn figured out that Amelia may have been right about Will Baker. 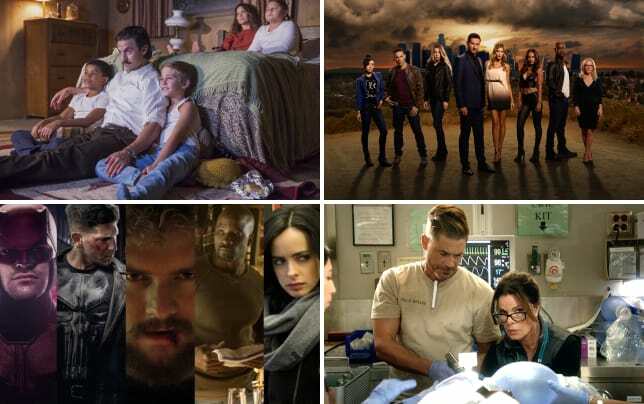 Below TV Fanatics Jim Garner, Christine Laskodi, Ashley Bissette Sumerel, and Allison Nichols discuss Nerdy Noah, Will Baker's shenanigans, and that Bawson (yes, guys, the official ship name is Bawson) near-kiss and more. Ginny finally got to dip her toe back into the dating pool with a charming billionaire. What did you think of Noah? Jim: I liked him. I thought he was a very nice "Yin" to Ginny's "Yang" in showing how you can be successful and still have fun and be relaxed. She could do to take a few pointers from him. Christine: I also liked him. He was really sweet, and that Mario game text message was adorable. I also liked that he wasn't connected to baseball. It gave us a chance to see Ginny in a new, far more relaxed, way. Ashley: I liked him too! I think he brings a welcome change, and like Christine, I really liked that text massage. So adorable. Allison: He's adorable. The Mario text message video game is what won me over. I think they would be cute together, and like Christine said, it would be nice for Ginny to start to have a life outside of baseball. Evelyn finally caught on to Will and sought out Amelia's help, but not after investing a large sum of her and Blip's money. How do you think this Will storyline will play out? Jim: It's not going to end well for Will. Especially when Evelyn adds her info to Ginny's advice from Noah of "no restaurants, and no family". I suspect that Will's days of working on "Screwgies" are numbered. Christine: Will is so screwed. I think Ginny will cut ties with her brother, or at least that it will create a huge rift in their relationship. Ashley: I definitely think it's going to be bad for Will, and I think the worst part will be how it will affect his relationship with Ginny. Honestly, Evelyn and Blip are more her family that Will is at this point, and I hate to think what this will do. Allison: This is going to end badly for Will. He is going to have to deal with Evelyn's confrontation about the missing money, and then Ginny is going to say that she can't be a part of it. It's going to be tough for Ginny, but it's definitely the right call. I just don't think Will is going to be all that understanding. On a scale of 1-10 how out of touch is Charlie with the non-financial or human aspects of the game? Jim: I'm going full on 11! Oscar just stopped him from violating the rules last episode, and he seems to have learned nothing from the process. I'm glad Oscar was able to convince him not to carry more than $3 million of Mike's contract (and keep Mike around). Christine: It's like when you're a kid, and you're playing the Sims. Charlie thinks he can do a great job of understanding everything that goes into his job, but the reality is that he's the kid who is too tired after intricately building the house to build his Sims' social skills. Charlie has no idea how to do this job as far as people go. Ashley: He's awful. I think the answer is also 11. Allison: Definitely an 11. He understands the money aspects of it, sure. He doesn't understand the rules or the love of the game. I think Charlie needs to realize his limitations and lean on Oscar and maybe even Al a bit more. If he does that, he'll be better at his job, and the Padres will give him the results he wants. Do you think Blip would have made a great captain in Mike's absence? Jim: Had you asked me last week, I would have said "maybe." But watching how he stepped up this week, I think he would make an awesome team captain. Christine: YES. And I'd still like to see Mike hand that over to him. That scene between them, with Blip showing his disappointment over not going out for a beer, and Mike putting the gavel in Blip's locker; so wonderful. Ashley: If this show were to get several seasons, I think we'd see it happen. And I think he'd be amazing at it. Blip is more than ready to step up. Allison: Definitely! Blip really stepped up, and I enjoyed seeing him in this new role. I am hoping we get another season of this show, so we could explore Blip's role on the team more. Discuss those final Bawson scenes and that near-kiss. Where do you think the two of them go from here now that Mike's trade fell through? Christine: I don't know if I liked it. It was hot, sure. But I had grown a little attached to Noah over the episode, and while I liked seeing Mike & Ginny finally moving away from friend territory, I had some guilt because I wanted her to go back to Noah afterward. Also, I'm still not convinced that I want to see them together, because I really think it would damage the overall message of the show. Darn love triangles! Ashley: I have to say, I don't like it. I was so hoping the two of them would have this amazing, solid friendship, and introducing the romance feels forced to me. I don't know what I expect to happen now that he's staying, but my hope is that they let this go, at least for a while. Allison: I loved the two of them grabbing a beer together. I'm definitely hoping for more of a slow burn, and this episode is a great glimpse of what we could have a little bit down the road. I want to further explore the mentorship aspect of their relationship more. Who was the MVP of the episode and why? Jim: I'm nominating Natalie as the MVP. She not only successfully got Oscar and Al talking to each other, but the fact she was dating Oscar became a non-issue with its timing of coming out around Mike's trade issue. She may not be a ball-player, but she certainly is a ball-player player. Christine: Blip. He wasn't afraid to tell Mike off, even knowing it was potentially their last conversation. It takes guts to tell off your captain. Sometimes, it takes even more guts to be straightforward with your friends. Ashley: Mike, because he's become such a well-developed, interesting character. My heart broke for him when he was told he wouldn't play in that last game. Allison: Evelyn. She was so excited to dive into business and have her own career. Her eyes lit up every time she discussed Screwgies. However, she was able to pull back a little and really look at things and realize that something is off. It took a lot of guts to call Amelia, especially after Amelia has tried to warn Evelyn, and Evelyn has shut her down. I'm proud of Evelyn, and I'm really hoping that things turn out okay for her and Blip, financially. Do you agree with our Round Table? Don't be shy! Join in on the discussion below in the comments! 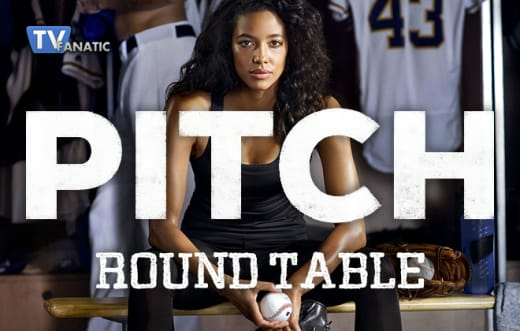 Don't forget you can watch Pitch online here at TV Fanatic. Come back for our Pitch Season 1 Episode 10 season finale review on Thursday, December. 8.